We took a ferry from Eminonu to Kadikoy to get a sampling of the Asian side of Istanbul. This is a residential and commercial area that is an easy escape from the tourist trap that is Istanbul. Frequent ferries run quickly there. 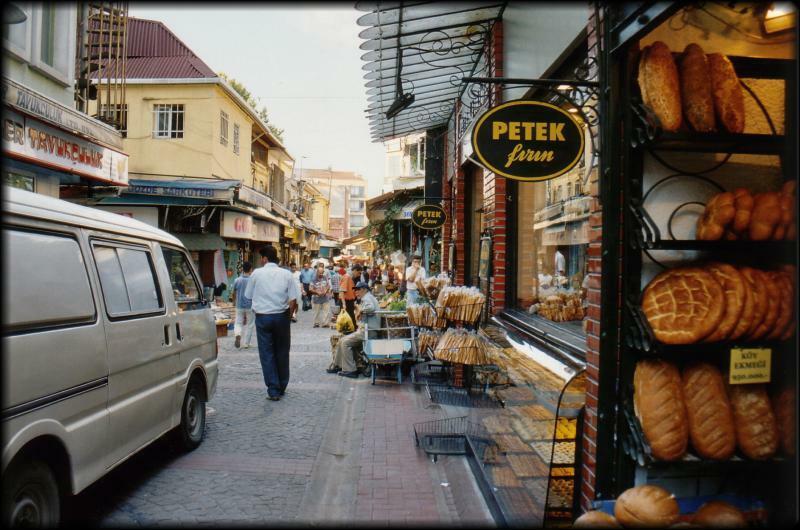 There is a street market, jeweler’s stores (with reasonable prices), bakeries, traditional restaurants, etc. There is not much English spoken here, and we felt we were the first tourists they had seen in months! 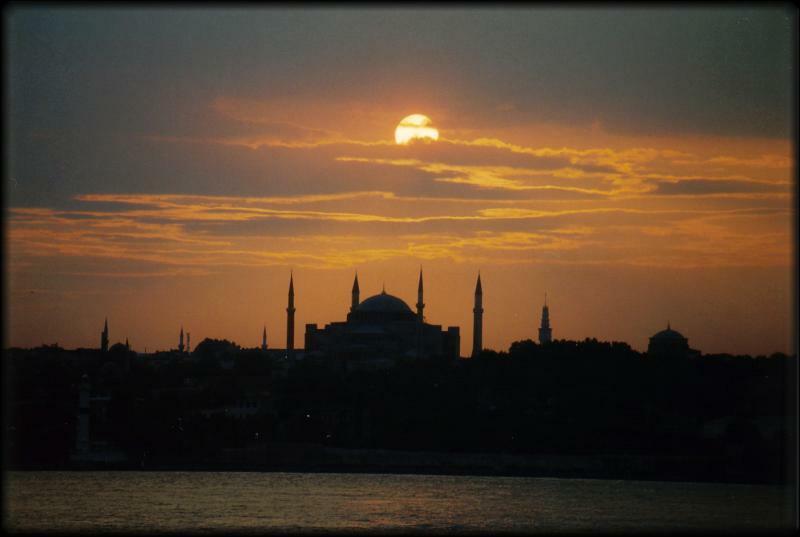 It was an interesting experience though, and we got some killer photos of the sunset over the Blue Mosque on the way back. We’d like to say that was planned, but, well, not so much.